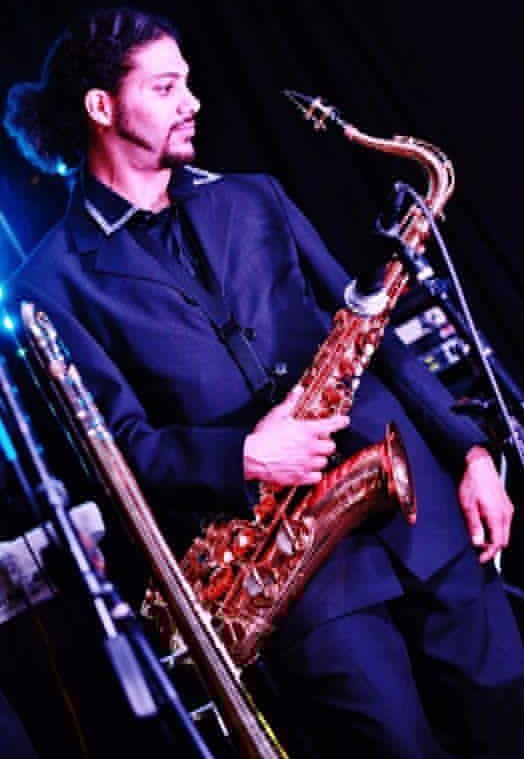 With over 20 years of experience Brandon Vaughan aka Serenading & Saxie entertains with his mesmerizing stage presence, soulful sax, and dynamic vocals. With a degree in music education Serenading & Saxie has all the knowledge and tools to make your intimate or large event a memorable one. Audiences enjoy his charisma, energy, professionalism and attention to detail performing all your favorite hits in Pop, R&B, 80's Rock, 90's Rap, Afro Cuban, Jazz and many more from your favorite artist. 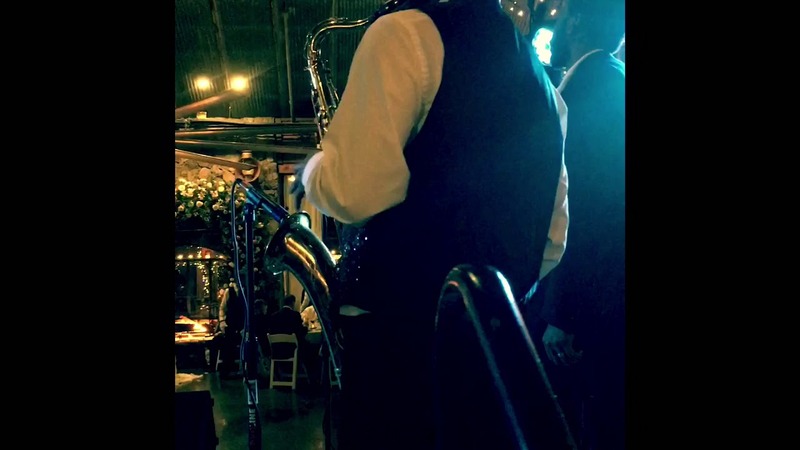 So if you need the perfect solo act for your corporate event or your having a girls night out Serenading & Saxie is the one man band for the job! I would recommend him for his music, singing and overall performance. 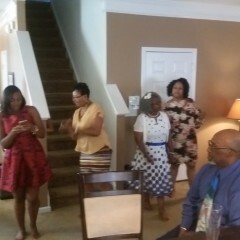 My guests enjoyed all of the music he played. For everyone out there who need a Saxophone player, book him and let your event be wonderful!! This man is the truth!!! He played our ceremony and cocktail hour. Although it was just him, you would think he had a whole band behind him the way he played. The mood for the ceremony was set the instant he started playing. His rendition of "all of me" by John legend put an instant tear in my eye. We asked him to learn "still in love" by Beyonce about a month before the wedding. It was the song the bride was entering to. He absolutely nailed it! He captured all the emotion that the song exudes. Both of us were crying like babies. He has large catalog that covers a wide variety of genres. With that, we just gave him the type of feeling we were going for and the genres we didn't want and gave him the freedom to choose what to play for the cocktail hour. We weren't apart of the cocktail hour but from what we could hear, the music was bumping, people were singing along (also he's a great singer), and overall sounded like a good time. Definitely recommend! Awesome experience and great performer. Brandon was incredible , professional and extremely talented. I will hire him again for a holiday party. 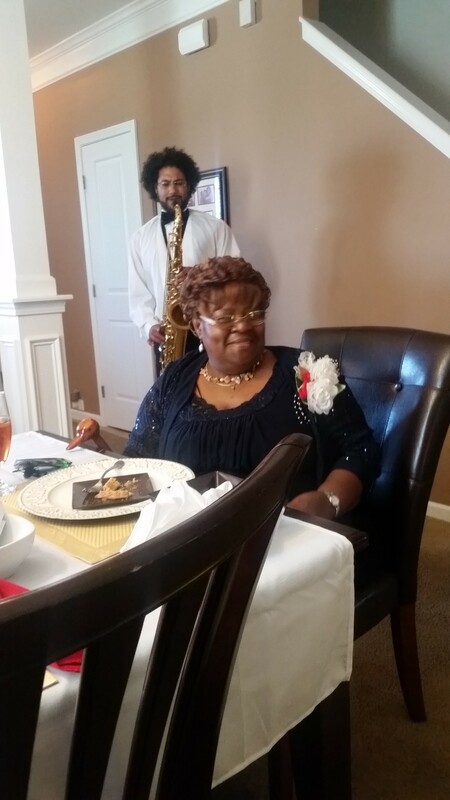 Serenading & Saxie was absolutely wonderful at my 50th Birthday Celebration. Everyone was talking about the performance. I would definitely recommend him for your next event. Going forward, he is top of my list for entertainment! We needed entertainment for my father’s 70th Birthday dinner party. We booked Seranading and Saxie. 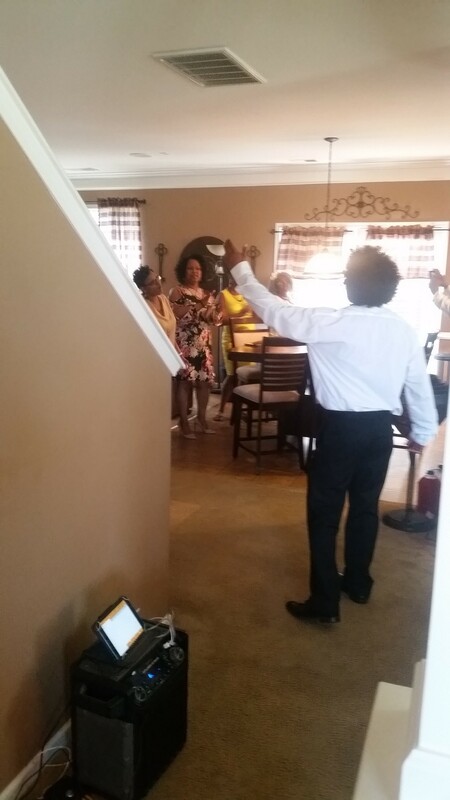 Brandon was punctual, professional, and did an amazing job. My guest were very complimentary of his set. I would book him again in a heartbeat! I booked Brandon for our wedding. We had nothing to go off of besides other reviews and a few videos. It was initially a little nerve racking for a big night not meeting somrone prior. However, he was INCREDIBLE. He played the saxophone and sang and stole the show in the process. So many guests commented on his talents. It was the perfect addition for our night. If you're thinking about utilizing him, just do it. You will not be disappointed. We'll never forget the special touch and the passion that he exuded in his performance on our wedding night! He did a spectacular job at my wedding! He exceeded my expectations and more! He I highly recommend him for any event!! The guests absolutely loved him!! He's totally awesome with amazing gift and talent!!! We were celebrating our 25th anniversary of marriage, with two languages attendants people. Brandon was quick to respond and send quotes, adapt to our needs, was flexible to prepare songs he had never played before with is saxo. People attending was so pleased with the music , his attitude and well prepared. He arrives 2 hours before the event to prepare all details and make sure everything was great. Don’t hesitate to contact him. 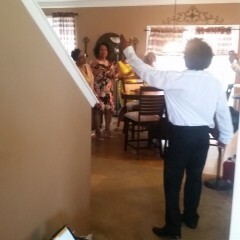 Serenading & Saxie was the perfect complement to the reception at the AKA PEARL Award Luncheon. 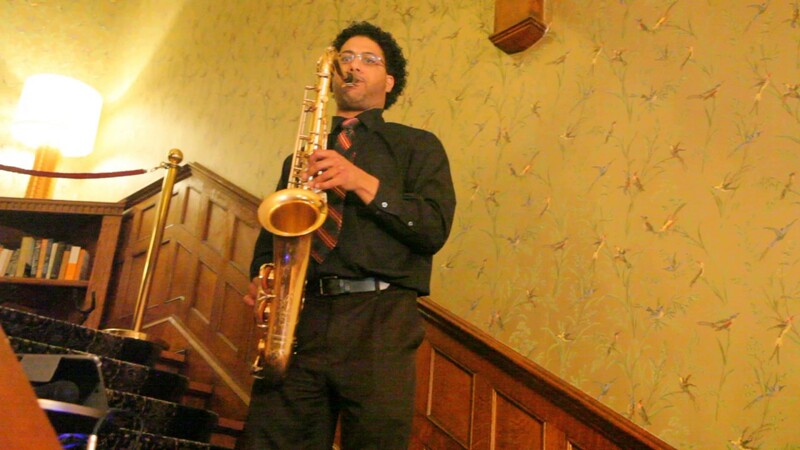 Brandon's smooth sax sound created a classy ambiance and set the tone for the jazz luncheon that followed. He was on-time, courteous, and professionally dressed. He was able to perform in a small space amid a large crowd of over 300 people. 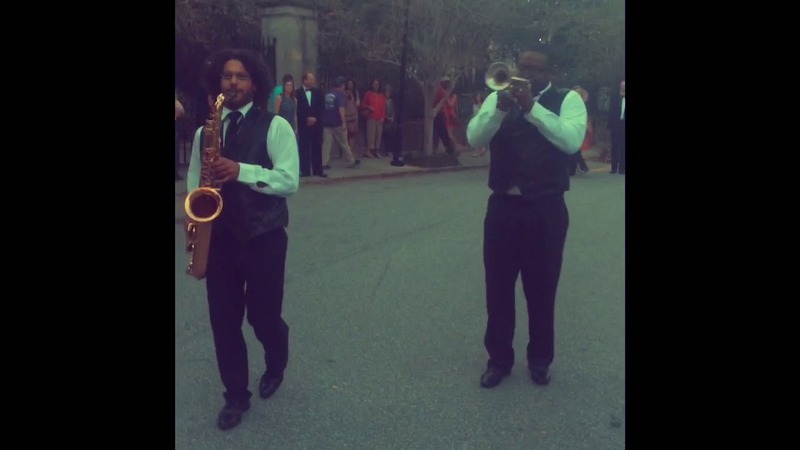 Hire Serenading & Saxie for your event! You will not be disappointed! Brandon was the hit of our party! Very polite and friendly. Highly recommend this talented young man for your event! Will use again! surprise birthday gift for my wife. 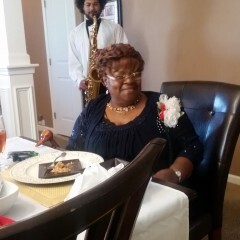 My wife was greatly appreciated of the services of Serending and Saxie. It will be an event that she and I will never forget. We will definitely be calling on you again for future events. We want to thank you very much for a great performance. Very easy and pleasant to work with. Very simple and quick setup. Can perform in small spaces. Combines sax, vocals, and dance bringing a smooth action packed show. Uses backing tracks during performances and can play recorded music that fits the occasion when not performing. Provides sound system & mic. At the age of 3 Brandon began singing in the church choir, from that time on he continued singing and began to play other instruments such as the piano, clarinet, drums and many others. Brandon received the Simpler Fidelis of music award from the United States Marine Corps upon graduating high school and a bachelors degree in Music Education from NCA&T. 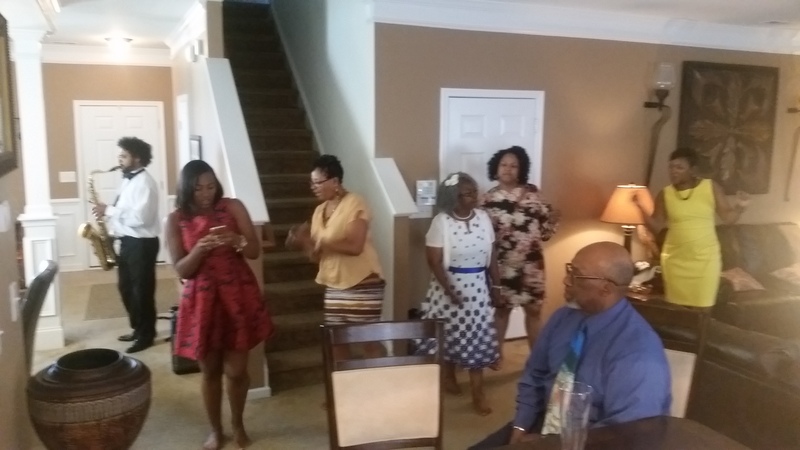 While at A&T Brandon marched in the internationally known drum line Cold Steel, played alto sax and first tenor in the University Wind Ensemble, University Jazz Band and the University Saxophone Quartet. Three years in a row Brandon was selected to be apart of the HBCU All Stare Jazz Band and Wind Ensemble held in Atlanta Georgia. The word got out about Brandon’s talents and that word landed him with The Classic Funk Orchestra, Mike Bennett Project, The Black & Blue Experience and many other local and traveling artist. Brandon has shared the stage with accomplished musicians such as Robert Trowers, Delfeayo Marsalis, Mondre Moffett, Dr. Van Anthony Hall Jr. and Gary Percell just to name a few. Brandon was featured in the movie Leaving The Game by CotLou films it won first place in The Dinner and A Movie Festival. Brandon is also the CEO of The Multiple Intelligence Band L.L.C.